No doubt you are frustrated and furious. It’s unfortunate enough to get into a car crash. However, accidents caused by intoxicated drivers are even more maddening. Someone mentions to you that the drunken individual who caused your accident just left the bar up the street. And, suggests you should see an attorney about a possible dram shop case. Huh? If you’ve never heard the term dram shop, you are not alone. Many people don’t realize the extent of legal responsibilities placed on vendors or servers of alcoholic beverages. Incidentally, Texas law is quite specific on the issue. Take a look at some important considerations. If you were involved in an automobile accident with someone who is deemed DWI, this law is important to you. It falls under the Alcohol Beverage Code, as part of the same section on the liability of social hosts. You can read more on social host claims here. First and foremost, filing a dram shop for personal injury does not exempt the drunk driver from liability. Quite the contrary. Instead, it adds parties that may have sold or served drinks despite the inherent risks. It could mean a claim against a liquor store, restaurant or bar. Need an example? We’ll consider the case of Johnny, who routinely stops at the neighborhood gin mill. The bartender knows Johnny by name and has no problem pouring shot after shot. After all, Johnny can hold his liquor. And besides, he only lives a few blocks from the bar. In any case, it wasn’t unusual for Johnny to stagger out at the end of the evening. Arguably, he always makes it safely back to his place at the bar day after day. Only this time? Johnny decides to run a stop sign and hits another vehicle with force. Later, his blood alcohol content (BAC) registers at nearly double the legal limits. Johnny is carted off in a police cruiser. Meanwhile, his crash victims leave in an ambulance. 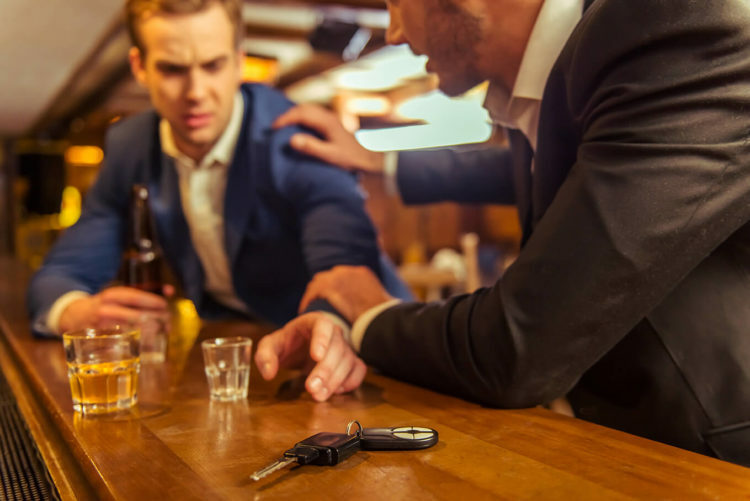 Whenever a case involves a drunk driver, an experienced personal injury lawyer will look for the prospect of a dram shop case. This will include establishing where the intoxicated driver last purchased alcohol. Were you injured in an automobile crash? Was the other driver intoxicated? Contact de Lachica Law to determine if you could have a claim against both the driver and some other defendant.